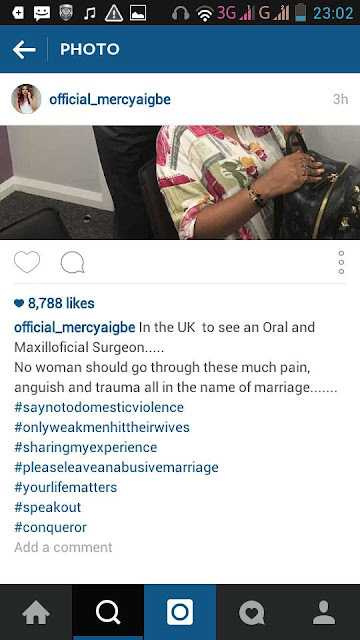 With Lanre Gentry spending a few nights in prison and the domestic violence case still ongoing in court, the after effects of his battering his Nollywood actress wife, Mercy Aigbe, still lingers. 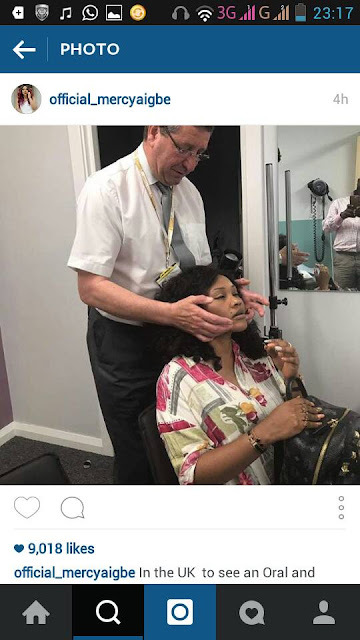 The Actress Thursday shared a picture on instagram of her visit to a UK based doctor to treat injuries sustained from the recent fallout with her estranged husband. No woman should go through these much pain anguish all in the name of marriage...."